Multitasking is very important in any device. If your device does not have or support multitasking then you would have a hard time working with it. Now a days multitasking is everything, time is money and multitasking is your saving account. So in order to save money you'll need to multitask the right way. Over the years there have been numerous multitasking tweaks in the Cydia store and concepts all over the web trying to fix what Apple is lacking on their App Switcher. I'm going to be talking about Auxo and MissionBoard Pro in this post, since there seems to be the most popular now a days. 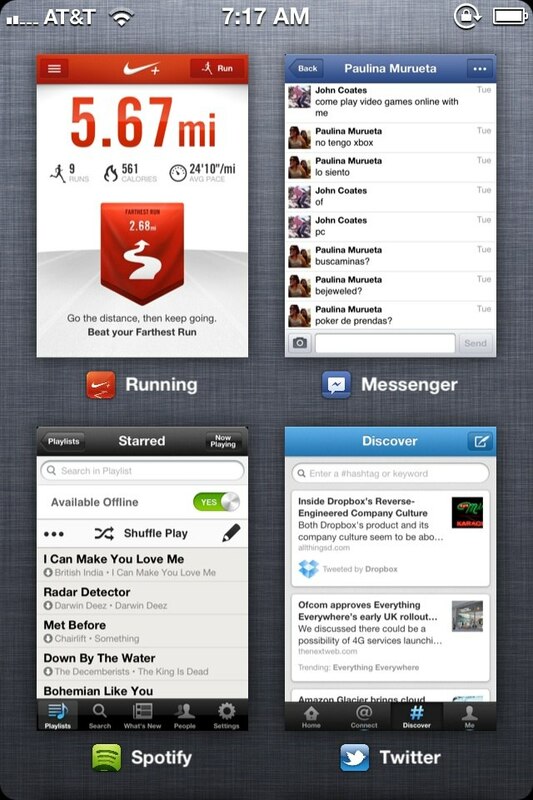 If you see closely, Auxo is Apple Switcher in steroids. It my seems as if Auxo is taking what Apple already have and upgraded just a little bit, if thats what you think then that little bit is making it much much better than before. 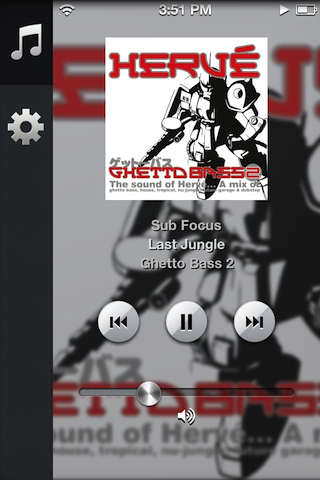 It has a way better music controls than Apple and at the same time making it look native. Users have more space now on the controllers area and it looks cleaner. On the other hand MissionBoard Pro music control looks very good, I love the album cover in the background but it seems too much and it doesn't look as natural as Auxo. The music controls in MissionBoard Pro looks good, don't get me wrong but when there is too much of something is bad as when there is too little, and I think MissionBoard Pro is too much in this case and Apple is too little. Auxo in my point of view is in between. Both of this tweaks have features were you can turn off or on toggles such as wifi, bluetooth and many more. I have to say that MissionBoard Pro has more space for the users to touch and play around with those toggles than Auxo. 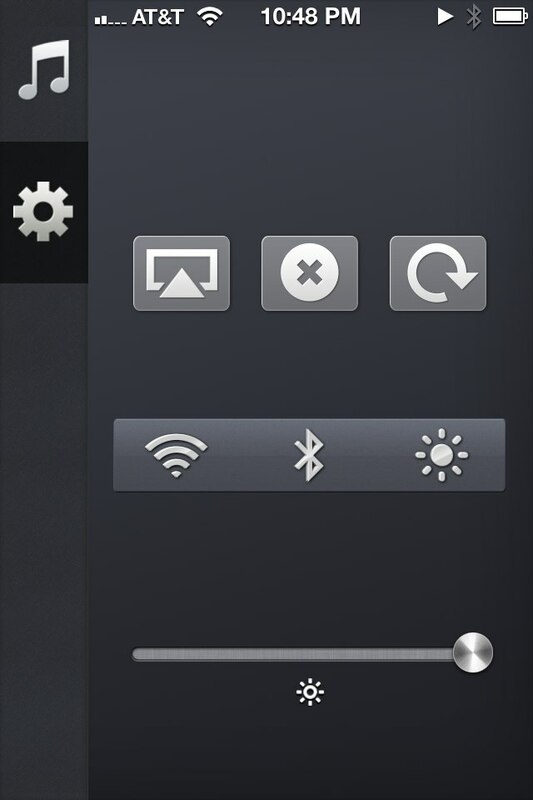 Auxo's toggles are more crowded. Saying that, Auxo have the advantage to put more toggles than MissionBoard Pro is able to, this is just a case of taste. Also what I have notice in Auxo is that if you hold your finger for a couple of seconds on top of any toggle, it would take you to the setting page of that specific toggle which is pretty nice and convenience. Now lets talk about the most important thing which is the multitasking part. While using MissionBoard Pro the switcher becomes into some kind of cards that you can move around and closed then, users can also see a preview of the open apps, they can touch any card/preview and go into that particular app. It's pretty cool to be able to see a preview of the open app and much more cooler if the preview is big enough to make something out of it. The only thing I would say, it needs a little bit of work in MissionBoard Pro "Switcher" is that when you use the closed icon option with the little X on top of the open app, it looks kind of weird and none natural. It looks like if the button was put there on top of everything and that it doesn't belongs into the card figure. Auxo "Switcher" is basically the same as the Apple Switcher but a bit bigger and with a small preview from the open Apps, I would love to see a bigger preview in the future. The cool thing about Auxo is the way you can closed your open apps, you can just swipe down and your app is closed, thats not everything, you can closed more than one App at the same time. This is a very cool animation that can caught many people attention. I really like MissionBoard Pro cause is something different and very complete, I love the Art Work in the Music Controls and everything. I like Auxo as well because of the closing animation on the switcher, also because it looks so native to the iOS, I like tweaks that look like the phone has come with it from factory. I would recommend both of this options and to tell the truth I didn't know which one to choose. I asked my wife which one she liked the most, I showed her both tweaks and at the end she choose Auxo. Thanks for expressing your ideas with this blog. Likewise, a delusion regarding the lenders intentions if talking about property foreclosure is that the lender will not getreceive my repayments. There is a certain amount of time that the bank will require payments here and there. If you are very deep inside hole, they may commonly demand that you pay the payment in full. However, that doesn't mean that they will have any sort of payments at all. a way to work a thing out, the particular foreclosure process may cease. Apply the tips from other gamers racing rivals cheats like me! stability. Gibeau said" The debate rages on amongst video game system to learn how to weigh choices.